The City has adopted a Uniform Traffic Code. This means that the parking restrictions that you find in almost every other city and village are applicable here in Harbor Springs such as, no parking within 15 feet of a fire hydrant and no parking at any yellow curb. Please note that parking restrictions and public parking lots change from Summer Parking to Winter Parking due to the varied activity in the downtown district. The season restrictions are updated on our website as needed. Listed below are a few parking tips for visitors, residents, and central business district employees. Please read all signs in the area before parking to avoid a ticket. Pay close attention to signs posted at the Josephine Ford Park Boat Launch. 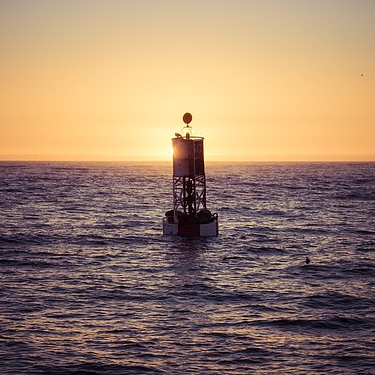 There are a number of restrictions when parking at the launch site due to the heavy volume of usage during the summer months. Please be sure to read the signs and know the rules applicable to your activity. Employees of downtown businesses are encouraged to park outside of the central business district. All day parking is available free of charge at City Hall or the Police Department at 160 Zoll Street. Parking permits for trailers are available for $5.00 per day and can be purchased at the Police Department Monday through Friday 8:00 a.m. to 4:00 p.m.
Winter Parking is in effect Labor Day to Memorial Day. From December 1 to April 1 overnight parking is prohibited on all City streets between the hours of 2:30 a.m. and 6:00 a.m. There are two designated locations in the City limits for overnight parking during this time. 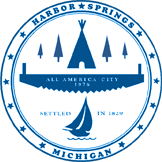 Please call the City of Harbor Springs Police Department for further instructions on overnight parking. All day parking is available free of charge at City Hall or the Police Department at 160 Zoll Street (near Ottawa Stadium and Zoll Street Beach). Parking permits for trailers are available for $5.00 per day and can be purchased at the Harbor Springs Police Department located at 170 Zoll Street. There are a number of restrictions when parking at the Ford Park Boat Launch site due to the heavy volume of usage during the summer months. Please be sure to read the signs and know the rules applicable to your activity. Click here to view the parking regulations for parking your boat trailer and/or other vehicle at the Josephine Ford Park boat launch. Trailers may not be left without a vehicle attached. Launch permit must be in full view. NO Parking 2:00 a.m. – 4:00 a.m.
Additional overflow parking for Ford Park launch ramp permit holders is available at Zoll St. & Pennsylvania Ave. (south of City Hall/Police Dept. buildings). Permit holders may park for up to 3 days; additional days are $5.00 per night for up to 14 days. Parking permits for overflow parking can be purchased at the Police Department Monday through Friday 8:00 a.m. to 4:00 p.m.
Additional rules are posted at the park. Please read and observe! Seasonal Launch Ramp Permits can be purchased at City Hall or the Municipal Marina (click here for permit application).